I wanted to tell you how impressed we have been with your organisation from start to finish. I have already recommended you to our travel agent and to friends. 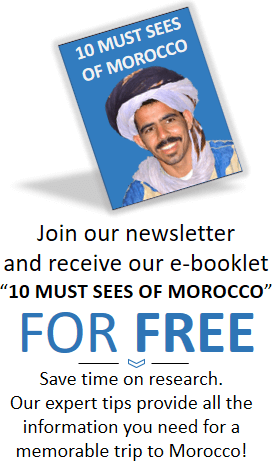 [Our highlights were] staying in the Atlas Mountains at the Kasbah da Toubkal; Hassan 11 Mosque; our riad in Marrakesh; the personality and care of our driver Khalid. We couldn’t have asked for more. Khalid responded well to our interests and was always pleasant company. 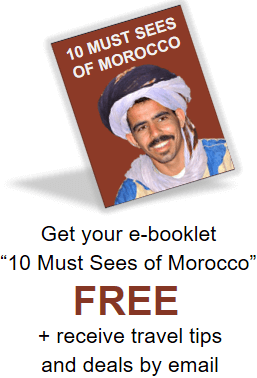 He was attentive, always timely, a good conversationalist and introduced us to many aspects of Moroccan culture. Every meeting, pick-up and transfer went like clockwork. We felt very fortunate to have Khalid as our driver. 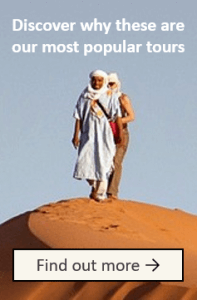 We loved the riads, and were delighted with our Kasbah experience in Imlil. We had the help we needed buying our tickets to the Fes Music Festival (though the performance we chose happened to be disappointing). The drives between cities were longer than we imagined, but we loved the beauty of the mountains and countryside. 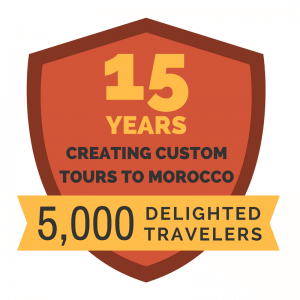 From our first contact with Experience It Tours to leaving our driver at Casablanca Airport we have been impressed with the personal communication, ability to negotiate, attention to detail and efficiency that was evident in every aspect of our trip. We’ve had a wonderful introduction to Morocco and haven’t stopped finding out more since our return.